We create wellbeing strategies to help you and your workplace thrive. Ever wondered "What is mindfulness? ", or wanted to understand more about workplace wellness & mindfulness training? Check out the Wellineux blog covering mindulness tools, whole food recipes, workplace wellbeing activities, corporate leadership research & so much more! Can Meditation Foster Creativity in the Workplace? Creativity is essential in the workforce. It is that spark which takes your employees from the mundane and the routine to be an engaged workforce as they deal with task, issues and problems in insightful ways. A creative workforce is productive, inspiring and confident — all factors that contribute to the growth of your business. And yet 75 per cent of the people are not living up to their creative potential, according to a study. When employers don’t provide the tools and the avenues for workers to express their creativity, it begins to affect their mental health, their mood, and ultimately their performance. While there are many ways you can encourage creativity in your workplace, there is one practice which is sure to activate the creative processes —meditation. There are many benefits of meditation for your health and wellbeing, and enhanced creativity is one of them. Meditation is known to reduce stress and anxiety as it clears away information overload and repetitive thoughts which contribute to anxiety. This opens the way for your mind to engage in creative ideas as your imagination flows freely without any barriers. Creativity involves your entire brain and not just the right side as has been emphasised for many years. Research indicates that various regions of the brain involved in spontaneous thought, cognitive control, and semantic memory retrieval work together to promote creative ideas, especially divergent thinking. Divergent thinking is one of the two main ingredients of creativity, and it is that process which enables many new ideas to be generated. This is similar to a brainstorming session where numerous unique ideas are encouraged. In contrast, convergent thinking is the process of producing one possible solution to a particular problem, emphasising speed, high accuracy and logic. According to the popular Genoplore model, creativity involves both these processes. Divergent thinking is necessary to generate several ideas, and convergent thinking systematically works out which ideas are fruitful and can be implemented. But all forms of meditation don’t have the same effect on both these aspects of creativity. To encourage divergent thinking —which lies at the core of creativity — a different type of meditation is needed, where your mind is allowed to wander, and your thoughts are not squashed. One of the most definitive study on this subject discovered that open-monitoring meditation — a form of meditation where you observe thoughts in the present moment with flexible and unrestricted attention — is far more encouraging for divergent thinking. In contrast, focus attention meditation — where you sustain selective attention on a particular object, such as your breath — does not have a significant impact on creative divergent thinking. However, focus attention meditation is slightly more useful for convergent thinking which is essential for narrowing down options and finding a feasible solution. Mindfulness meditation blends both these forms of meditation, and it helps people become more aware of their thoughts while they suspend judgment, enabling them to shift their thinking and be creative. If the lack of creativity is bringing down the mood, morale and productivity in your workplace, it’s a good idea to encourage meditation practice amongst your staff. And this can be done by implementing mindfulness meditation and creativity training programs tailored for every stage of the creative process. 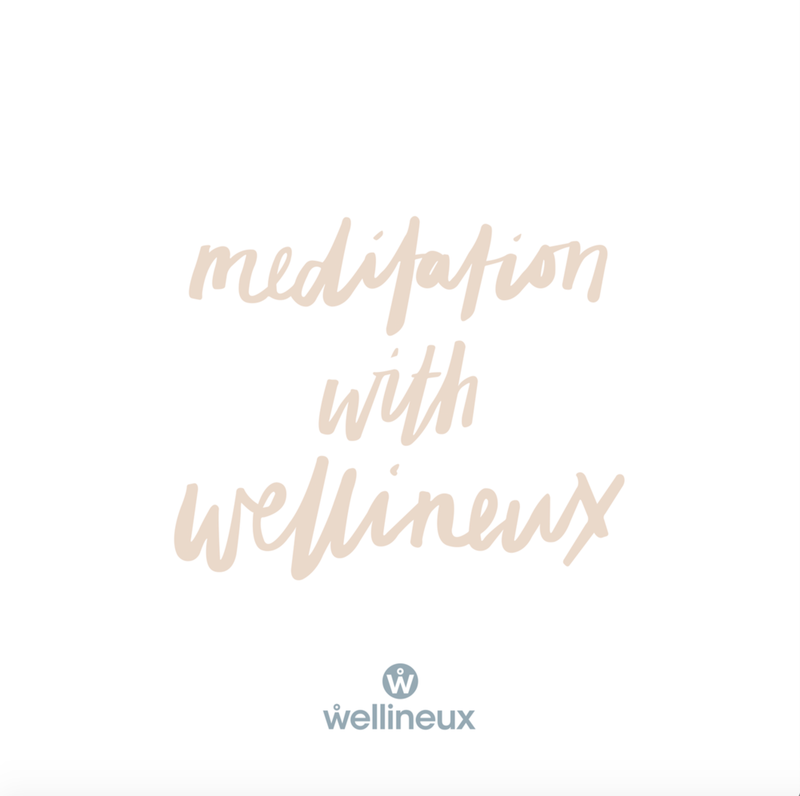 Be sure to check out Wellineux’s free meditation series, available now on Soundcloud. What does it take to spot those hidden advantages, that can help us get ahead in not only our career, but day-to-day lives? What is it with bananas. And importantly, how can they be of benefit to our leading a productive day, full of success? How (and why) more and more companies need embrace wellness in the workplace. How can we incorporate plants into our spaces, in order to feel their positive benefits? Meditation is increasingly common – and it’s not hard to practice at your own desk. We learn how. Today, life is incomparably faster than ever before. So how can you achieve and maintain a healthy work-life balance? We look into the value of implementing workplace wellness programmes into the structure of your company. We talk with Tess Robinson from Smack Bang Designs about how to place the trust in ourselves to succeed, starting from the gut. As we head deeper into the year, February is a great time to check in with yourself, and see how you’re doing. Looking for a quick, but nutritious breakfast? We’ve put together 5 of our most wholesome favourites to get your day kickstarted with convenience and ease. How much do our values in life play a part in our financial goals and commitments? How are you defining success in 2019, and how will self-reflection help us? Thought-provoking podcasts, to take you into the new year with fresh inspiration. Are you feeling movement in your career? Could pilates be the change you need? With a few tweaks, you might be surprised at how easy it is to become a better team player. Where does job satisfaction come from? One of the most important places: being resilience. How a simple but personable partnership be so very beneficial to our workplace success? Happiness at Work, Do the Two Really Co-Exist? It’s definitely not a myth – happiness and work can go hand in hand. How can meditation act as a tool to guide us toward our most creative selves? From time-to-time we can fall flat – what can we do to give ourselves the kickstart we need? "To equip individuals and workplaces everywhere with strategies, knowledge and support to achieve peak performance and business success." Interested in becoming the Workplace Wellbeing Champion of your workplace? Enter your details below to receive a complimentary 1 hour Workplace Wellness Strategy Session with Amanda McMillan to get you started. Enter your details to receive your free guided meditation gift, direct to your inbox. Enter your details to receive a copy of the Wellness Journal delivered to your door. Join our 40,000+ community, get exclusive member only content delivered direct to your inbox.